S1 Artspace is pleased to present a solo exhibition of new commissioned work by the Berlin based artist Eva Berendes. People and Events will be the Decoration presents a series of new sculptures displayed across the gallery against the backdrop of a new large-scale curtain installation in what she refers to as a loose 'parcours' of objects. People and Events will be the Decoration is Berendes' first solo exhibition in a UK public venue. In addition to her exhibition, Eva Berendes has produced a limited edition print to accompany her S1 Artspace show, which is available to purchase through S1 Artspace. Please visit for more details. ------------------------------------------------------------------------------------------------- Eva Berendes' practice draws on the history and language of abstract painting in conjunction with the application of craft and applied arts. Her works frequently refer to decorative objects usually associated with domestic settings such as curtains, screens, throws and wall hangings. Dominant surfaces are exposed through a subtle process of concealment and disclosure. The making process is uncovered and in doing so Berendes destabilises any rigid understanding of the object. Berendes creates work that simultaneously suggests both simplicity and complexity - it is her integration of both the fine and applied arts that highlights the contradictions, tensions and ultimate validity of this division by bringing them both to the fore. People and Events will be the Decoration includes a series of new sculptural objects that, in their presentation, resemble the stratified spatial arrangement of a theatrical stage set. This form of presentation underlines the two-dimensional nature of Berendes' sculpture, which predominantly have both a front and back, closely connecting them to the concept of painting. However, unlike traditional painting, Berendes pays equal consideration to the back of her works and in doing so transforms the relationship of image and image-support into a more symbiotic relationship. The main protagonists in the exhibition, are three intensely coloured freestanding screens fabricated from perforated sheet metal supported by a fine brass framework from the rear. Set against the backdrop of a large silk curtain, these objects face the viewer as they enter the gallery, whilst the 'back' of the objects disclose the making and construction process. Two expansive sculptures assembled from white card suggest architectural fragments or retail display units. These thin temporary like structures with exposed hollow interiors imply a mock-up or prop. Marked out across the surface is a grid drawing that suggests industrial tiles. The site of real ceramic, however, is occupied by found vases and jugs, whose coloured figures have been 'displayed' on the sculptures. Whether these structures function as a plinth or stage for the ceramics, or conversely, whether the ceramics are intended as decorative pretext for the sculptures, is left unclear. The plaster reliefs in the exhibition are purposefully left raw and under-determined revealing their production process by exposing the imprint of the board on which they were cast. Their simplicity recalls fragments of brutalist a rchitecture and forms a discreet counterpoint to the other works in the exhibition. Eva Berendes was born in 1974 and studied MA Fine Art at Chelsea College of Art & Design. 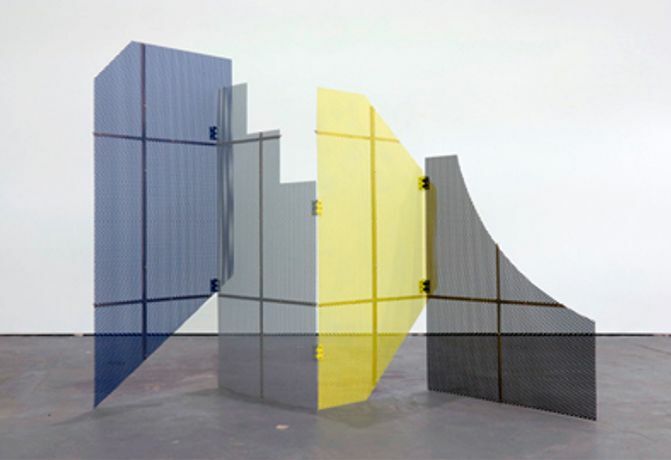 Parallel to her exhibition at S1 Artspace, her work is being exhibited in the following exhibitions: Construction and its Shadow at Leeds City Art Gallery (until 5 June 2011), Making is Thinking, Witte de With, Rotterdam (until 1 May 2011), Der Menschen Klee, KIT, Dà Æ¼sseldorf (until 3 April 2011) and Madame Realism, MARRES, Center for Contemporary Culture, Maastricht (12 March until 5 June 2011). A solo exhibition of new work will open at Ancient & Modern, London on the 16 of March and a publication documenting People a nd Events will be the Decoration will be launched on the occasion.